Nearly 400 years ago the history of the Passion Play began. The plague raged in many parts of Europe and did not spare Oberammergau. In 1633 the Oberammergau villagers promised to perform the suffering, death and resurrection of Christ every tenth year, if no one else died of the plague. The villagers were answered by God and therefore in 1634 the first Passion Play took place. The promise has been kept to this day. 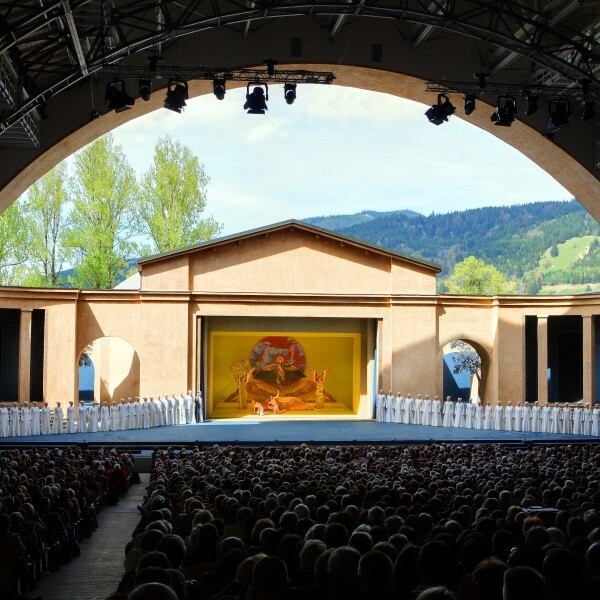 In 2020, the 42nd Passion Play will take place in Oberammergau. This is a once in a lifetime, bucket list opportunity to see a cast of over 2,000 local people perform a play like no other over a five hour period. 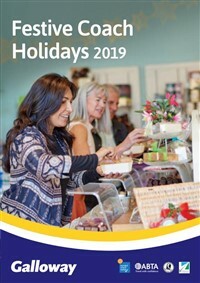 Please note: due to the timescales involved all remaining accomodation will be confirmed at the end of 2019. 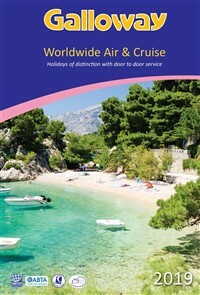 Also, the deposit and cancellation terms differ from those outlined in our Terms & Conditions. Please see the details below. Following collection from home, travel to Dover to catch the ferry to Calais and continue the journey to the overnight hotel in time for dinner. This morning, continue the journey to the Black Forest in Germany arriving at the 4 star Waldeck Spa Hotel in Bad Durrheim for a four-night dinner, bed and breakfast stay. After breakfast, visit the north shore of Lake Titisee, one of Germany's prettiest lakes, and join 'The Titus' (built as a replica of a Roman galley) for an enjoyable 25-minute cruise before exploring the town of Titisee-Neustadt itself. Continue the circular drive to Triberg, known for its traditional wood carving shops and cuckoo clocks. This vibrant town also boasts an informative Black Forest Museum and a picturesque 17th Century church. Drive towards Lake Constance and visit Mainau Island, known for its botanical gardens, the Castle of the Teutonic Order, its butterfly house and Palm House. Travel the short distance to Constance, a town of great historical relevance and the most important on Lake Constance. 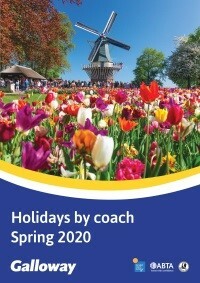 Enjoy a leisurely breakfast and a free day to explore Bad Durrheim. Wander around the town or make use of the hotel's spa facilities. After a final breakfast at the Waldeck Spa Hotel, travel to Oberammergau, stopping en route in Lindau to purchase lunch. Lindau is a pretty town to the south of Lake Constance. Arrive at the accommodation in Oberammergau in time for dinner. Today is the day of the Passion Play. Enjoy a pre-performance lunch ahead of the play commencing at 2.30pm. Dinner will be enjoyed during the interval at 5pm before the play reconvenes at 8pm until the finale at 10.30pm. After breakfast, travel back to the overnight hotel to begin the journey home. 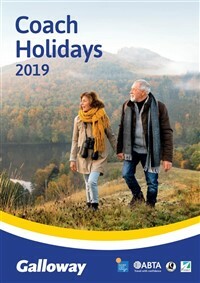 Return to Calais to catch the ferry back to Dover, arriving in East Anglia where the door to door collection service will be waiting to return you home. Four nights accommodation will be in the Black Forest, Germany at the 4 star Waldeck Spa Resort with dinner, bed and breakfast. In 2020 the villagers of Oberammergau will once again be performing their world famous Passion Play. 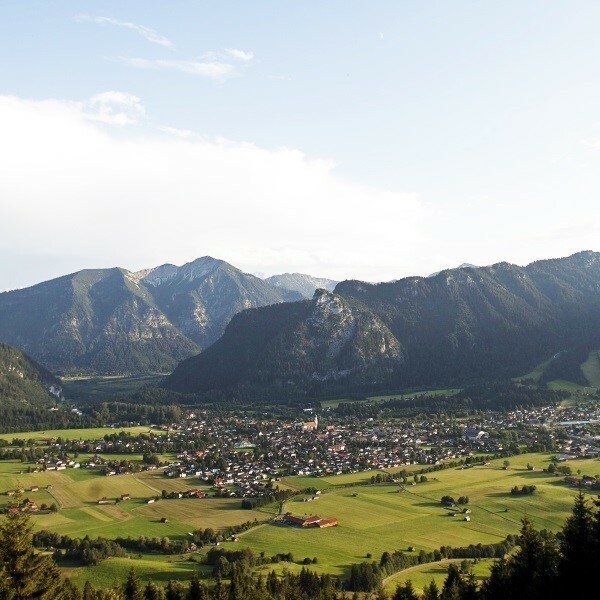 In 1633 when the Black Death was ravaging all of Europe, the picturesque village of Oberammergau remained unaffected, until a homesick villager returned and unknowingly brought the infection with him. As nearly 100 of their neighbours died, the remaining villagers vowed to God that they would re-enact the Crucifixion of Christ every ten years if they were spared from extinction and from that moment on, there were no more casualties. The villagers have kept to their pledge and once again you will be able to watch the Passion Play performed on an open-air stage set amidst some of the most spectacular scenery anywhere in Europe. Performances are due to run from approx 2.30pm to 10.30pm with a 3 hour dinner interval during the evening. The entire area is devoted to the spirit of the Play. 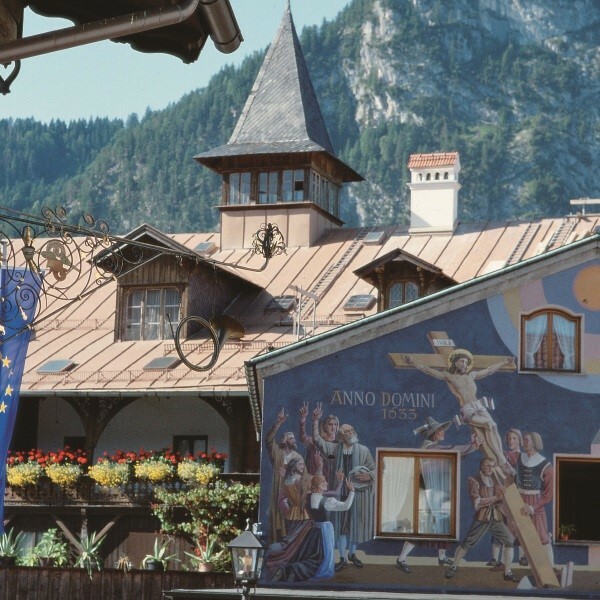 Oberammergau is a town located approximately 60 miles from Munich. The town is beautiful, surrounded by majestic mountains and picturesque meadows. The village is known for woodcarving and there are dozens of woodcarver shops. The town is also famous for its Bavarian themes painted along side many of the homes and buildings. 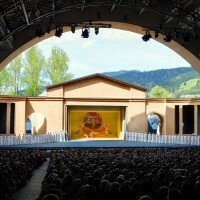 To be in the play, you must be a resident of Oberammergau. There are 124 speaking roles, a 65-member orchestra, 48 person chorus and hundreds of people involved in the back end including stagehands, seamstresses, firemen, auditorium attendants and more. Men grow out their hair and beards to make the look authentic to the time. Costumes are hand-made. The play is held May through late September or early October. During these months, the play is performed 5 days per week in an open-air theatre which seats about 4,700 people. The performance begins at 2:30 p.m. to 5:00 p.m. There is then a dinner break, and the play resumes from 8:00 p.m. to 10:30 p.m. The play is performed in German, but it doesn't seem to stop people from all over the world, including those that are not of religious backgrounds that are intrigued by the way the town comes together to perform this play. It is anticipated over 750,000 will attend in 2020. 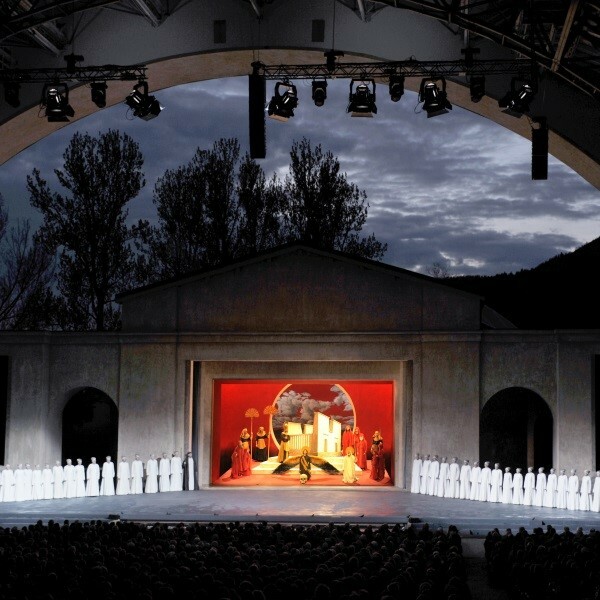 The Passion Play theatre is open, and the background of the mountains makes it an unforgettable scene.